“This is the most categorical admission of defeat by the Congress. Captain Singh is a permanent loser and a habitual quitter . He has been a trail blazer of defeats for his party, becoming the first and the only leader in Punjab to lead the Congress to two back-to-back defeats in the Punjab Vidhan Sabha. 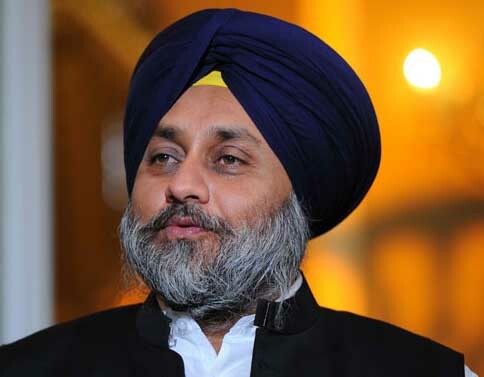 His latest decision to run away from the field is only a continuation of his record,” said Mr Sukhbir Singh Badal in a statement here this afternoon. The Deputy CM said that Captain Amaridner SIngh has presiding over the demise of the Congress party in Punjab as Mr Sidharath Shankar Ray had done in West Bengal. After Ray was made the Chief Minister of that state, the Congress party was wiped out completely and never won an election there again. History is repeating itself in Punjab now, ” said the SAD president. Mr Badal said that the Congress had realised that it could never win an election in Punjab again. That is the only reason why the the party decided to stick with a permanent loser like Amarinder as their leader ahead of the Vidhan Sabha poll next year.